Wall Street bank Goldman Sachs has seen “cognitive dissonance” in the stock market surge after Donald Trump won the US presidency. While the Dow Jones, Nasdaq and S&P 500 are posting record highs daily, Goldman is pessimistic about the rally. “Cognitive dissonance exists in the US stock market. 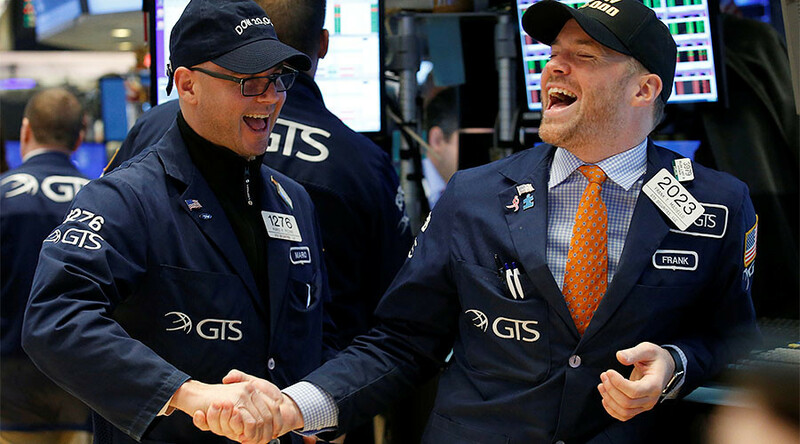 S&P 500 is up 10 percent since the election despite negative [earnings per share] revisions from sell-side analysts,”said David Kostin, the chief US equity strategist at Goldman Sachs. The rally in US stocks is explained by Donald Trump’s promises of tax cuts, more infrastructure spending, less regulation and other protectionist measures, which boost confidence in the American economy. “Investors, S&P 500 management teams, and sell-side analysts do not agree on the most likely path forward. On the one hand, investors, corporate managers, and macroeconomic survey data suggest an increase in optimism about future economic growth. In contrast, sell-side analysts have cut consensus 2017E adjusted EPS forecasts by one percent since the election, and ‘hard’ macroeconomic data show only modest improvement,” Kostin continued. However, politics is hard, and Trump is yet to implement his business-friendly promises, warns Kostin. “Sell-side analysts appear hesitant to incorporate potential tax reform and deregulation into their estimates given elevated policy uncertainty. Positive revisions to aggregate S&P 500 EPS estimates are rare — during the last 33 years, consensus EPS estimates have been revised upward from their starting point just six times,” he said. — bored2tears (@bored2tears) 17 февраля 2017 г.
Goldman Sachs has been skeptical about the US stock markets surge. In a note forecasting the S&P 500 behavior in 2017, the bank said “hope” would push the index to 2,400, but the "fear" would pull it down to 2,300 by year-end. 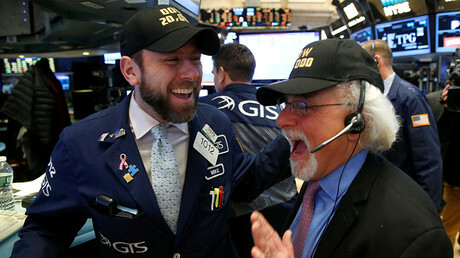 On Friday, the index representing the 500 biggest US companies set another record, closing at 2,351 points.